Virtual PBX Call Center and Telecommuting Products for Remote Agents - Database Systems Corp. 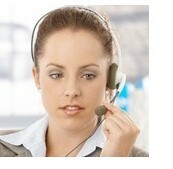 Remote Office for Virtual Call Centers with Virtual ACD and IVR features. Using technology from Database Systems Corp., the concept of a virtual call center now becomes a practical reality. Your call center workforce can now accept and make calls from a remote office or even from home. DSC provides all of the monitoring and control technology to make this scenario possible. With our virtual call center products, even your supervisors can work from home as well. Also consider having a phone system that answers your customer inquiries on its own, but with agents available if ever needed. This phone system can contact your customers or prospects with automatic announcements and alerts. This is all possible with our Virtual PBX phone system and supporting contact management and computer telephony software. No longer will your call center be hampered by factors such as bad weather preventing your agents from commuting to work. Your employees can even keep working with some illness or family condition that would typically stop them from coming into the call center. You now can hire (and retain) some of your best agents who are unable to commute to work on a regular basis. And growth is limited only by your ability to add technology or people, not office and parking space. Contact DSC to learn more about our virtual call center and telecommuting products. Allowing your employees to work from home gives you a competitive edge over traditional call centers. Now you can hire highly qualified individuals who could not otherwise commute to your center. Handicapped individuals, single parents and the elderly can now become an integral part of your remote workforce. This is all made possible by our telecommuting technology. Computer Telephony Integration CTI software is a rich set of phone software library routines that enable application programs to control your phone system. This comprehensive CTI software lets you increase employee productivity, enhance customer service and reduce costs by combining the capabilities of our robust phone system with the custom functionality of your Windows, Unix or Web applications. Data collected by your phone ACD (Automatic Call Distribution) or IVR (Interactive Voice Response) systems can be passed to your existing PC, Unix or Web applications through our phone software. Our predictive dialer can automatically call your customers and pass only connected calls to your agents. With our computer telephony software, your telephone and computer work together to provide cost-saving benefits. 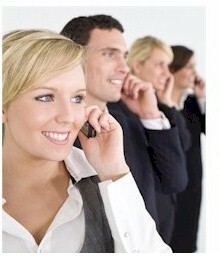 The heart of your virtual call center is the phone system. Our PACER (digital) and WIZARD (analog) phone system is a virtual PBX that supports call center remote agents that log in from remote offices or from home. This system tracks each agent separately and can route inbound calls to these agents as if they were working locally. Likewise, remote agents can initiate outbound calls and PACER and WIZARD can even route predictive dialer calls to these same agents. This telecommuter phone system has voice monitoring capability that lets your supervisors audit the quality of the remote agents, ensuring that the service and support provided by your remote agents are of the highest standards. Using "Smart" Predictive Dialing features, the PACER and WIZARD can pre-qualify prospects and only pass calls to your local or remote agents that express an interest. Since more than 90% of predictive calls result in "No Interest", your organization can realize tremendous savings. Combining predictive and IVR features, the PACER or WIZARD plays a pre-recorded message and lets the called individual make touchphone selections to continue. They can talk with an agent, request a call back, or even leave a recorded message. Remote agent login and full remote agent telephony are standard features of our award winning CRM application, Telemation. Telephone functions and call recording are some of the many features available within this product. Complete contact management, call history, order entry, literature fulfillment are just a few of the applications that can be managed using this call center software system. Telemation campaigns can be developed with telephony features defined on a campaign wide basis as well as per individual agent. Plus Telemation lets you provide your agents with selective telephone functions including a call record button. The PACER phone system supports our sophisticated interactive voice response (IVR) system that lets your phone system answer caller questions on its own, without the need for operator intervention. Of course, if the caller wishes to speak with an agent, PACER can transfer the call to the next available local or remote agent. 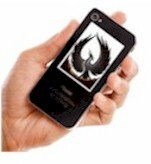 The call recording system can be used to record two way calls or simple messages left by callers. Likewise, with our Voice Broadcasting System, the contacted party can be prompted to leave a recorded message after listening to a message left by the PACER IVR phone system. This message recording feature greatly improves the productivity of your call center agents while adding flexibility to your calling campaigns. Database Systems Corp. has prepared full length presentations of its Call Center and remote office products that you can easily download and view. Included are several different demonstrations of application development tools, CRM campaigns, and a presentation on our call center phone system (PACER). This presentation describes our phone system's robust features plus a tutorial on predictive dialing. Also included is a presentation on remote agents and web capabilities. Simply click on the graphic image to your left to download and view our Product demonstrations.